Vehicles endure harsh conditions as they work continuously through the changing seasons. Winter can be one of the harshest because of the various challenges it presents with cold temperatures and extreme weather. In particular, excessive water and moisture from rain and snow are very corrosive and can degrade the condition of the vehicle materials. The chassis and suspension are of special concern in winter, but one aspect of the vehicle that can be overlooked is its electrical system. Several electrical components and their wiring run the length of the vehicle and many are exposed to the elements. The problem this presents is that these components come into direct contact with moisture which makes the systems susceptible to corrosion-related failures. Another potential issue with cold weather is battery performance, which is directly related to ambient temperature. 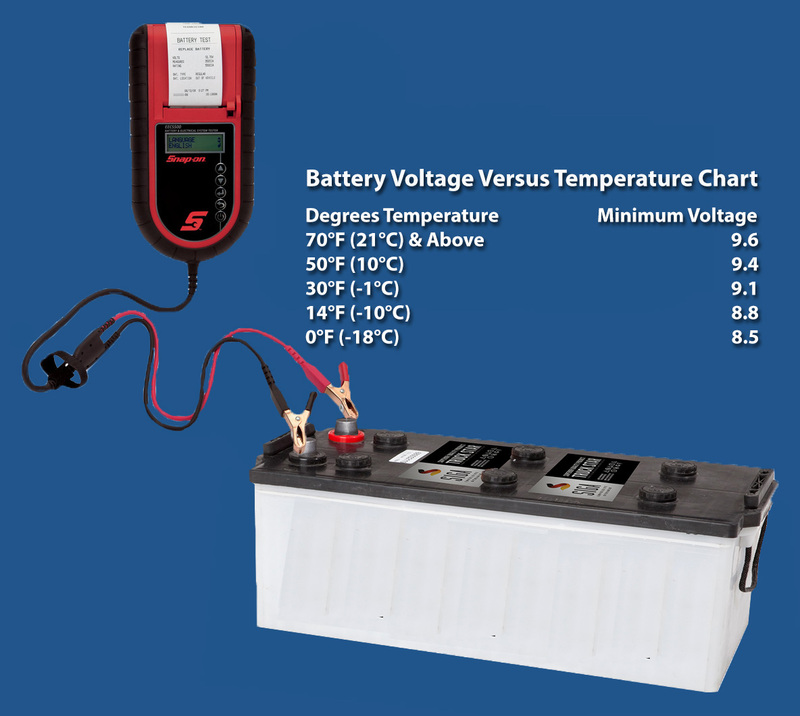 This is why batteries come with a Cold Cranking Amperage (CCA) rating — the amperage the battery is able to deliver at 0° Fahrenheit. This is important information because a battery’s performance will degrade as its temperature decreases. Inspect all wiring and connections. Check for wiring insulation that has been burned, rubbed through, or is cracked and brittle and repair as necessary. Insure all connections are clean and free of corrosion. Use dielectric grease in connections to protect from future collection of moisture. Verify the batteries are in compliance with proper manufacturer specifications with regard to Cranking Amperage (CA) and Cold Cranking Amperage (CCA) ratings. Check the state of charge and load test. Batteries that do not meet the manufacturer’s minimum Cranking Amperage requirements or fail load testing should be replaced. Last, but not least, it is a good practice to have emergency fuses on hand for any unexpected electrical related situations. 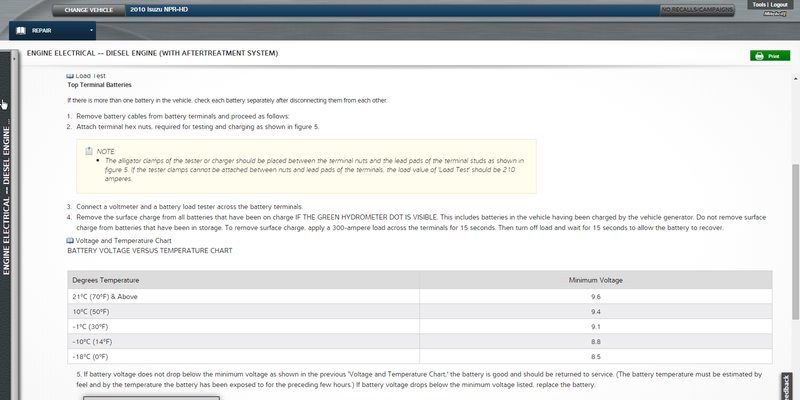 Refer to TruckSeries for battery load test specifications and other helpful information for winterizing your vehicle. A sample load testing procedure is shown below – click the image to expand to full size. Always refer to your OEM truck/battery for voltage specifications on your specific vehicle/battery. Next:Another Great SuperTech Skills Competition! Julius Hairston joined the Mitchell 1 commercial vehicle group in 2012 as associate editor and is currently a technical editor for the TruckLabor product. He is certified as an ASE Master Technician for medium/heavy truck and worked as a technician for three years prior to joining Mitchell 1. He holds an associate degree in automotive technology from Cuyamaca College and a bachelor's degree in business administration from Everest University.